The Prima Latina Instructional DVDs feature detailed instruction by the program’s author, Leigh Lowe. Lessons are approximately 20 minutes each. Sample available below. Are you looking for a gentle introduction to Latin and a course that prepares your young student for a more advanced study of the language? 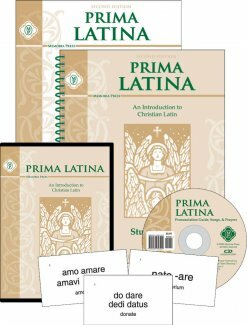 Prima Latina is specifically designed for students and teachers with no Latin background. This course was developed for children in 1st-4th grades who are still becoming familiar with English grammar and wish to learn Latin at a slower pace and learn English grammar in the process. Its goal is to teach and reinforce an understanding of the basic parts of speech while introducing Latin. It benefits the student by teaching him half of the vocabulary in Latina Christiana and grounding him in the fundamental concepts of English grammar, the key to Latin study. The grammar lessons are set forth in a form appropriate for primary grades. 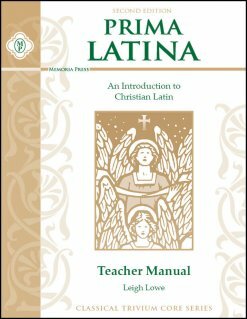 The review lessons that follow each unit provide the consistent review needed to master Latin. 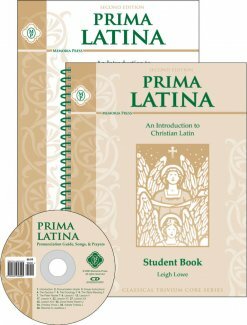 With clear explanations and easy-to-read lessons in a two-color format, Prima Latina is perfect for those teachers and parents who would like to start their students on an early study of Christian Latin. 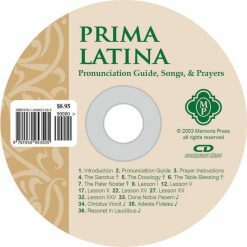 Prima Latina is also the perfect preparation for Latina Christiana. business with a minor in computer science from Transylvania University and an M.B.A. from the University of Louisville. 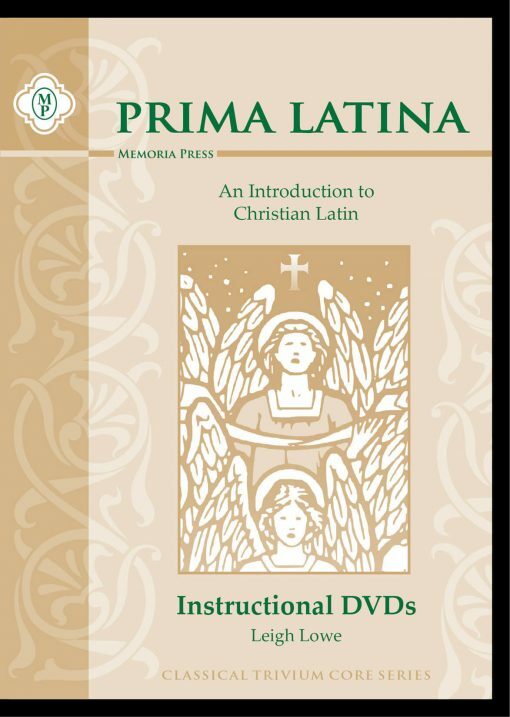 This DVD is a very helpful addition to the Prima Latina text. Each lesson includes some review as well as the new vocabulary and concepts. The words are shown on screen alongside the instructor. I like that it is straightforward teaching, not a bunch of flashy gimmicks. Review video segments to go along with the text’s review lessons would be a nice addition. I’m so glad I chose to order the helpful DVD and CD. 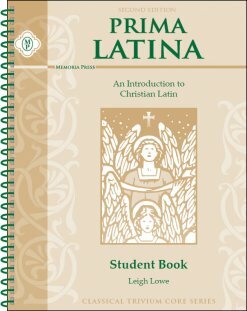 This is my first year homeschooling and I’m also new to Latin. My son and I are learning together. I appreciate the DVD presentation, and it has been a necessity to reference for pronunciation. The presentation is clear, well spoken and in such a friendly and engaging way. A lot of information is given in a nice timeframe to keep the child engaged.